LOS ANGELES, April 10, 2019 /PRNewswire/ -- Billboard is proud to announce that legendary regional Mexican artists Eden Muñoz, El Fantasma, Luis Coronel and Regulo Caro will take the stage as panelists at this year's Billboard Latin Music Week. Regional Mexican music's biggest stars will discuss how the genre is adapting to a new musical and business reality with industry leaders including Andaluz Music executive Jessica Vazquez, public relations and journalism powerhouse Sara Eva Pérez, and Lizos Music CEO Sergio Lizárraga. The all-star lineup will gather for the "Renovarse o Morir" (Renew or Die) session on Tuesday, April 23. Billboard Latin Music Week will take place at The Venetian in Las Vegas on April 22-25. 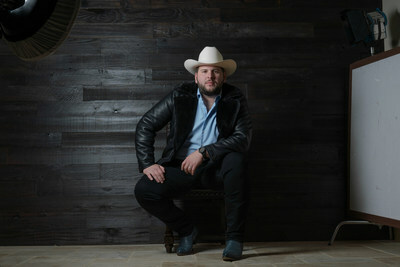 Calibre 50 lead vocalist Eden Muñoz has been a core member of the Mexican band from the onset of their musical success. Calibre 50 broke through in 2010 with the release of their first album Renovar o Morir and has continued to rise, with various titles climbing to No. 1 spots in both Mexican and U.S. radio and topping national and international charts. Last April the group, along with singer J Balvin, was recognized by Pandora for being the one of the first artists to exceed one billion reproductions on the platform. El Fantasma (The Ghost), has become one of the most recognized names in the regional Mexican genre since he began his music career just three years ago. His hit album, Vengo Aclarar, debuted in the Top 30 on Billboard's Top Latin Albums chart. His songs have over 45 million streams a month with his videos surpassing 400 million views on YouTube. El Fantasma was ranked No. 7 on SoundExchange digital radio's top 20 breakout artists in 2017, surpassing Bad Bunny and Christian Nodal. Luis Miguel Coronel Gamez first came to fame after releasing his version of "Mi Niña Traviesa" by Mexican composer Horacio Palencia, the success of which paved the way for him to become one of the most successful artists in Latin music. Recognized as one of Billboard's 21-Under-21 artists and Best New Artist by Billboard Latin Music Awards in 2014, Luis has become a household name for bilingual Latino youth. Luis became the youngest soloist to reach No. 1 on the Top Latin Billboard Album chart in 13 years with "Quiero Ser Tu Owner." Singer, composer and musician Regulo Caro Perez hails from Obregon, Sonora. The Latin Grammy and Billboard Award nominee has placed albums in the top 5 of Billboard's Regional Mexican Album list. 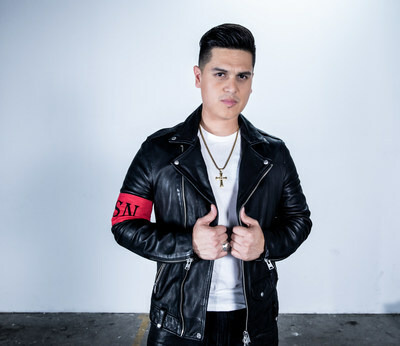 A Del Records veteran, Regulo Caro broke away from the label last September to pursue a new path as an independent artist shortly before releasing his latest single, "El lujo de tenerte" last October. Jessica Vázquez Ibarra served as the Mexican Regional Director of Public Relations at the Hecho en Sinaloa company in 2012. There, she worked with FN Code, Jorge Santacruz, José Antonio López among others. She later joined Andaluz Music leading the promotions department where she established great links with radio in countries such as Guatemala, Salvador, Honduras, Nicaragua and Colombia, serving as a pioneer catalyst in spreading regional music to the U.S.
Sara Eva Pérez has worked as a PR professional in both Mexico and the U.S., as well as a specialized journalist in regional Mexican music. 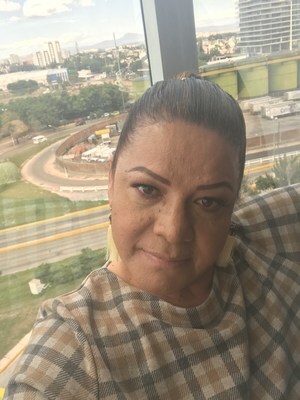 With 25 years of experience in the music industry, 15 of which were spent at Fonovisa Music, Sara Eva Pérez has worked closely with the most popular artists of the Mexican regional music market including Marco Antonio Solis, Los Tigres Del Norte, Banda El Recodo, Tucanes de Tijuana y Gerardo Ortiz, among others. She has now taken on an independent professional role and works hand in hand with Banda MS, the most popular and innovative band in today's market. Sergio Lizarraga co-founded Banda MS with his brother Alberto Lizárraga. He is also a member of the Mexican band whose album, Qué Bendición reached No. 1 on Billboard's Latin albums chart. 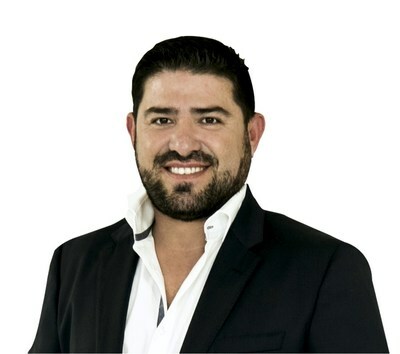 Lizarraga is the founder of Lizos Music, one of the most successful regional Mexican labels on the market today. "We have truly gathered some of the best minds and artists in regional Mexican music to give us an analysis and assessment of where the genre is at this moment, all under the leadership of our Billboard Mexico correspondent, Tere Aguilera, one of the top experts in the genre. This panel is not to be missed," said Leila Cobo, Billboard's Vice President and Latin Industry Lead. Returning for its 29th year, Latin Music Week features Q&A sessions and panels, including its signature "Star Q&As" as well as panels focusing on streaming, videos, both mainstream and Latin collaborations and more. Latin Music Week 2019 will include the return of the standout Women's Panel, which became a catalyst for change in the Latin industry in 2018, as well as a panels on streaming, new business models and BMI's fabled "How I Wrote That Song" panel. Billboard is the world's largest voice in music, built on the most complete and well-respected database of charts across all music genres. The Billboard charts define success in music. From the iconic Billboard magazine to Billboard.com, the ultimate consumer-facing destination for millions of passionate music fans, to the industry's most elite conference series and influencer events including the Power 100 and Women in Music – the Billboard brand has unmatched authority among fans, artists and the industry alike. Billboard has a social media footprint of 25.5M+ million social followers across Facebook, Twitter, Instagram, and YouTube, and creates more than 160M+ cross-platform video views per month. Billboard magazine has published major news-generating covers recently including Travis Scott, Janet Jackson, Lil Wayne, Demi Lovato, Cardi B, Christina Aguilera, Shakira, BTS, and more. In December 2018, the Billboard Women in Music ceremony, which honored Ariana Grande as Woman of the Year, was live-streamed globally on Twitter. The home of live nightlife entertainment on The Strip, Drai's Nightclub is a dazzling, multi-level rooftop hotspot boasting more than 25,000 sq. feet of plush offerings, including two full-service bars, over 75 luxurious bottle service tables, and fingertip access to the world's most celebrated DJs and performing artists through the Drai's LIVE concert series. Complementing an expansive dance floor, Drai's Nightclub immerses guests into the ultimate nightlife experience with more than 7,000-sq. feet of LED video screens, 1,700 sq. feet of cutting-edge LED lighting systems, and a towering 80-sided LED disco ball - the only one of its kind. For a full calendar of events and more information, visit DraisGroup.com. Dr Pepper, a brand of Keurig Dr Pepper (KDP), is the oldest major soft drink in the United States. Since 1885, the 23 flavors of Dr Pepper have earned legions of fans that enjoy its unique, refreshing taste. The brand is available in Regular, Diet, Caffeine Free and Cherry varieties. For more information, visit DrPepper.com or keurigdrpepper.com. For the brand's latest news and updates, follow Dr Pepper at Facebook.com/DrPepper or Twitter.com/DrPepper. McDonald's serves a variety of menu options made with quality ingredients to more than 25 million customers every day. Ninety-five percent of McDonald's 14,000 U.S. restaurants are independently owned and operated by businessmen and women. For more information, visit www.mcdonalds.com, or follow us on Twitter @McDonalds and Facebook www.facebook.com/mcdonalds.